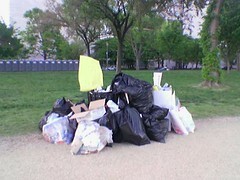 Walking around the National Mall a few hours after the Darfur Rally was over. 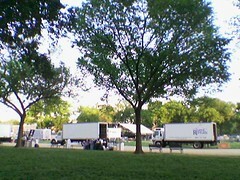 The Mall was almost empty, except for the cleanup crews disassembling the stage and loading the parts onto trucks. A few leftover activists wandered around the Mall, still carrying signs, holding little huddled conversations. 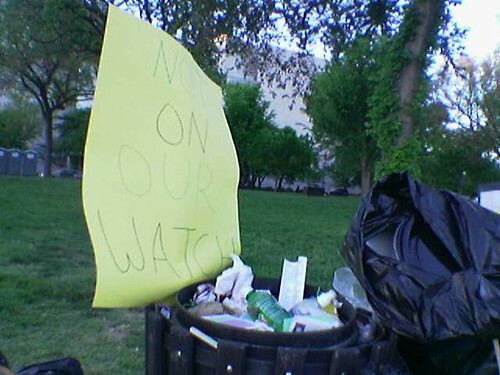 The garbage receptacles were stacked to overflowing, of course.